Product prices and availability are accurate as of 2019-04-18 03:46:18 EDT and are subject to change. Any price and availability information displayed on http://www.amazon.com/ at the time of purchase will apply to the purchase of this product. 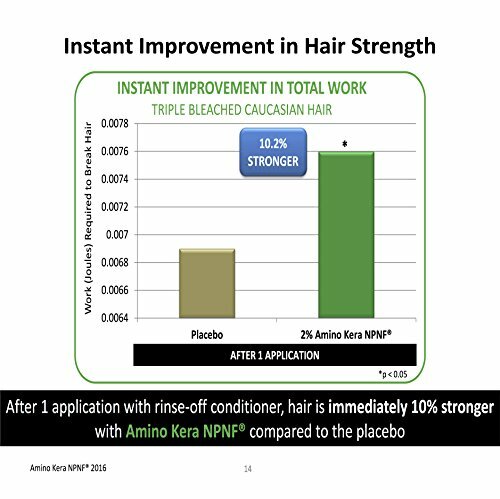 LOADED WITH ACTIVE INGREDIENTS - Natural extracts and oils including Biotin and Keratin are enhanced with two proprietary complexes, 3HCTM & Amino Kera NPNF®. These complexes have been clinically indicated to promote the body's own ability to stimulate growth and prevent breakage, and hair loss. 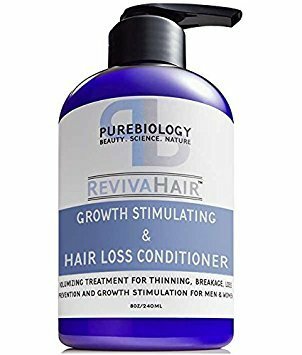 GROW, STRENGTHEN & CONDITION - Designed to stimulating growth and strengthen hair while providing deep moisture & conditioning post shampoo. Also ideal solution for thinning, breakage and spilt ends. FOR ALL HAIR TYPES - This unisex conditioner is designed for all hair types, including: color-treated, damaged and ethnic hair: Natural Citrus/Lemon scent; Non-GMO; Cruelty-free; Paraben-free; Made in the USA. 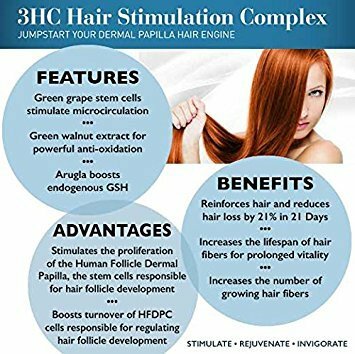 3HCTM HAIR STIMULATING COMPLEX - This breakthrough complex is comprised of a unique blend of stem cell-derived active ingredients that stimulate cells responsible for regulating hair follicle development. 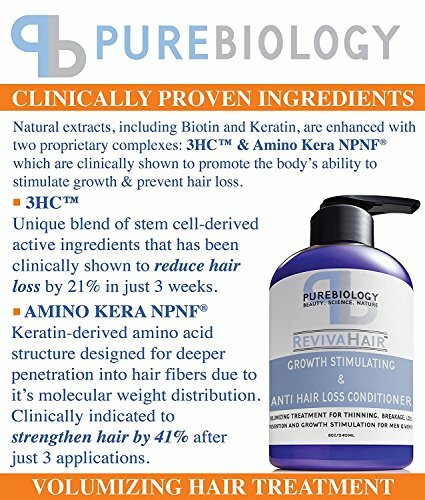 It has been clinically shown to reduce hair loss by 21% in just 3 weeks. It has also been indicated to increase the lifespan of hair fibers and expand the number of growing fibers. 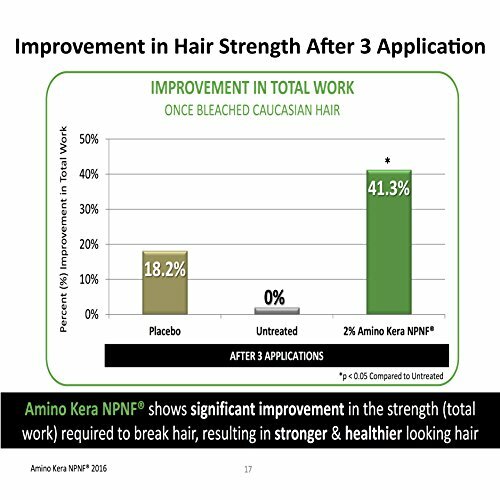 AMINO KERA NPNF® - This combination of Keratin-derived amino acids is designed for deeper penetration than other Keratin-based products. It has been clinically shown to immediately begin to strengthen and revitalize damaged hair, while moisturizing and conditioning on the surface for an all-around healthier and fuller appearance.